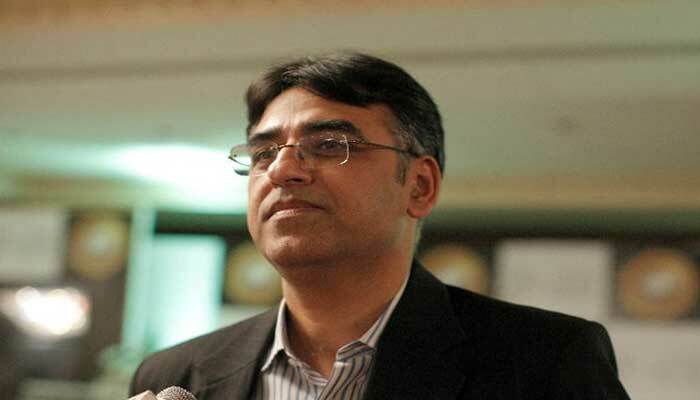 KARACHI: Finance Minister Asad Umar on Wednesday said Pakistani government has not waited for a push from the International Monetary Fund (IMF) to initiate tough measures for rebalancing the economy and avert another balance of payments crisis. “In the first 100 days, we have increased gas prices, increased electricity prices, we have put supplementary finance budget where we increased taxes. The policy rate has been increased by the central bank. The rupee has been devalued. Currency has been adjusted,” Umar said in an interview with Stephen Sackur, the presenter of Hardtalk, BBC World News. “Both the monetary policy and the fiscal policy have been moving in the very direction of the reforms that are needed,” he said, promptly adding that “we don’t need IMF to dictate that to us for us to do that because we believe this is what is necessary”. The finance minister said the path for reforms is different in the eyes of IMF “as we stand today versus what we think is right”. “There is no difference of opinion in terms of what needs to be done, it is the pace, the sequence and the extent which is being discussed,” the minister said. On a question of seeking foreign loans, the finance minister said it is not something to be proud of. “You have to have pretty low self-respect to go around doing what the prime minister of Pakistan and finance minister of Pakistan have to do in the current circumstances and be proud of that fact,” he added. Umar said the country has been using a growth strategy, which is imported capital finance, consumption-led, “that has led us repeatedly into these current account deficit cycles”. While the finance minister ducked twice the Stephen’s questions if Pakistan approached Saudi Arab and China for they have least conditions upon loans, he said six billion dollars assistance from Saudi Arab has not any condition attached, and “it is based on over a half a century long relation”. On a question of China-Pakistan Economic Corridor (CPEC) projects giving leverage to China, the minister said what is supposed to be a good deal is where the interest of investors and the country in which they invest is served. “Most of the investment that came in (CPEC) is in the independent power projects. Those are the investments which are made under transparently announced policies which the regulators have put into the place,” he added. The finance minister said the government has shared all the details with the IMF as there is nothing to hide. “Less than 10 percent of Pakistan’s foreign debt is owned by Chinese right now,” he added. The minister said the revenue generation aspect is central to deal with the horrendous challenges related to education and health sectors.